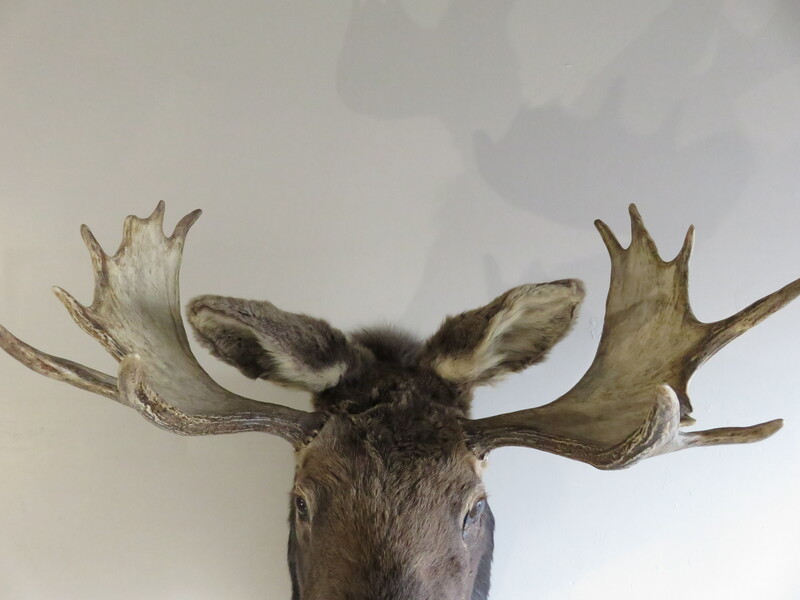 * Heads up, facing forward pose. 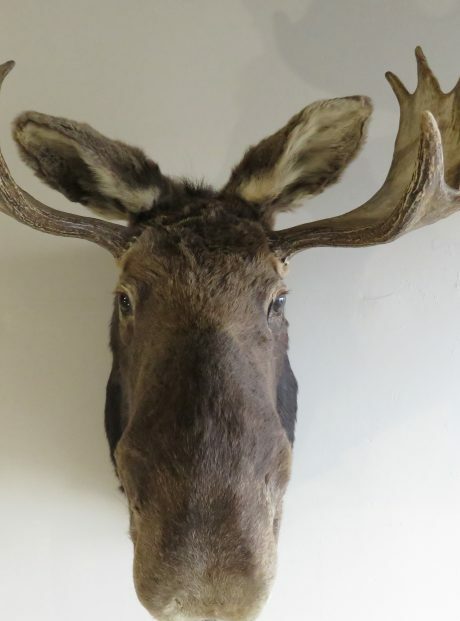 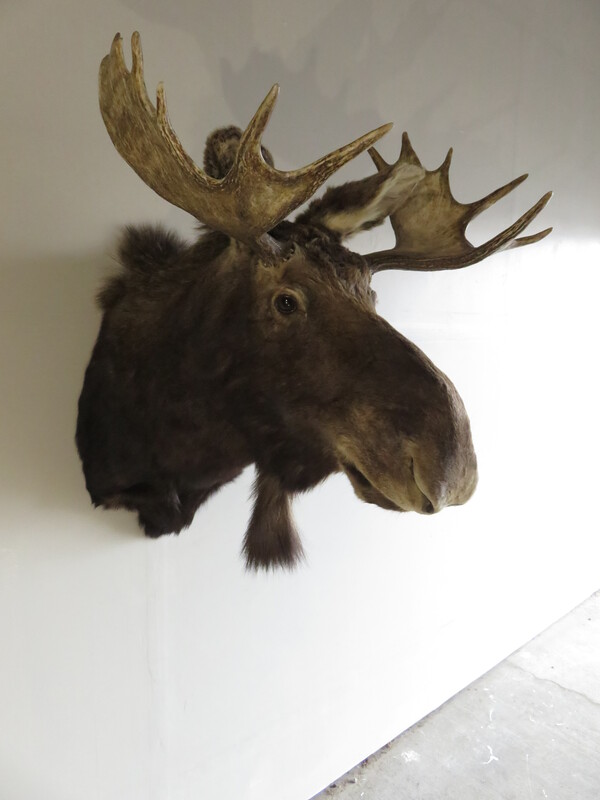 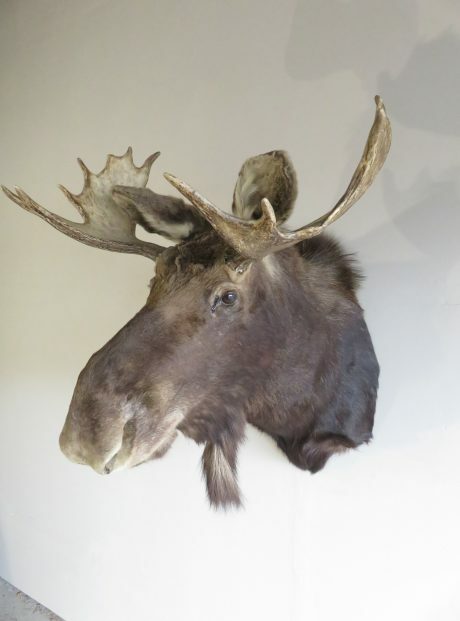 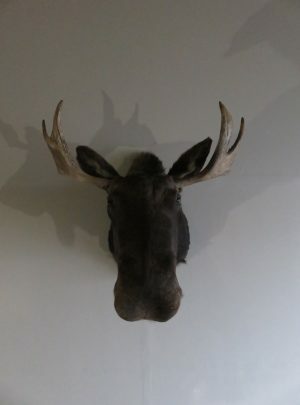 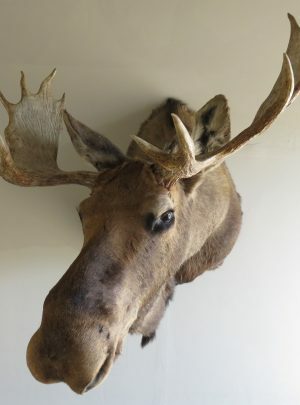 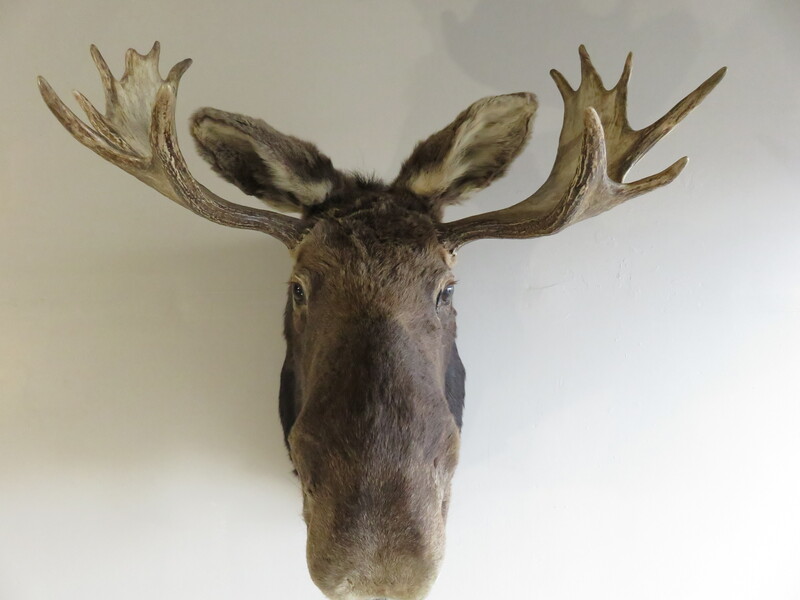 This is a great Northern Rockies bull moose shoulder mount. 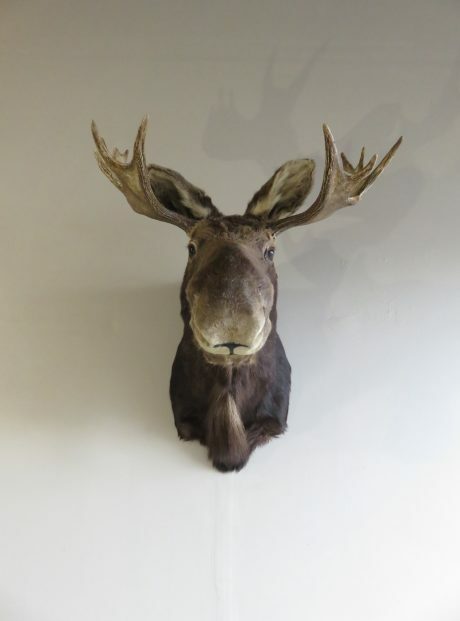 He is in the classic heads up, facing forward pose. 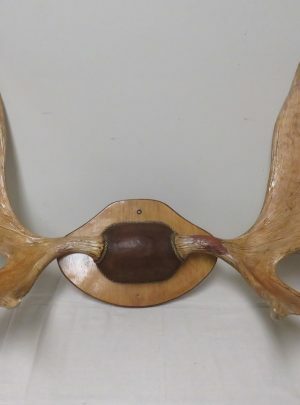 A great bell on this moose and a decent if not spectacular rack for a Shiras moose from the Western lower 48 states. 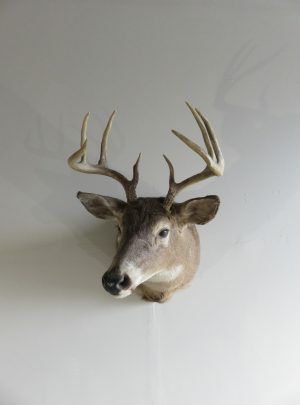 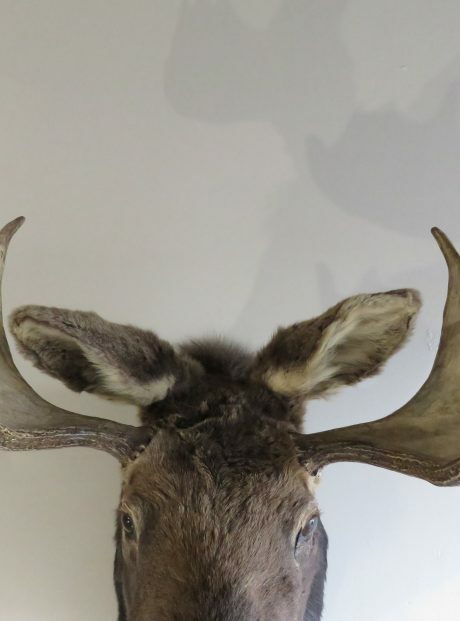 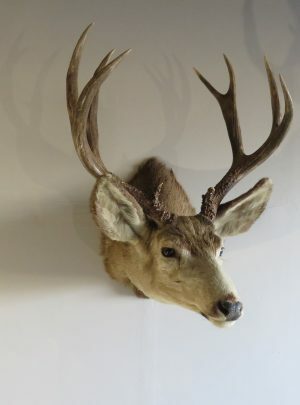 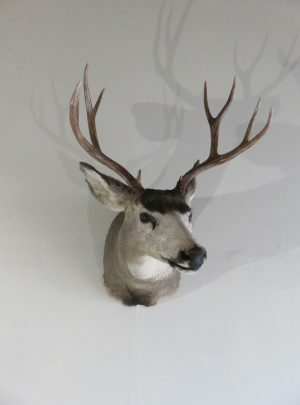 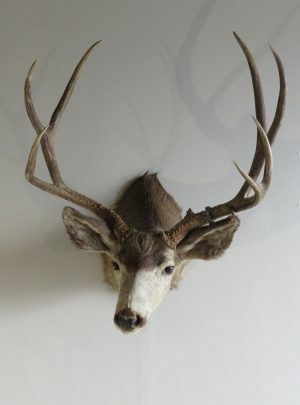 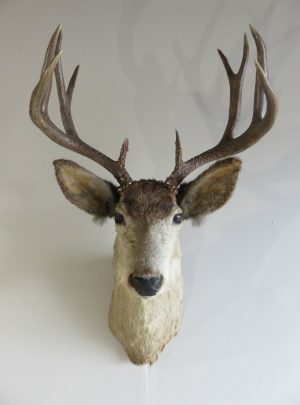 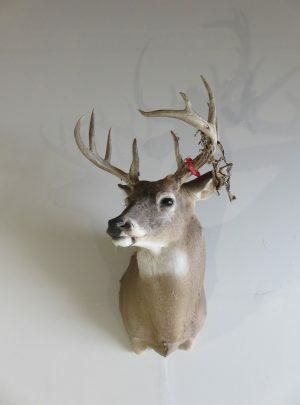 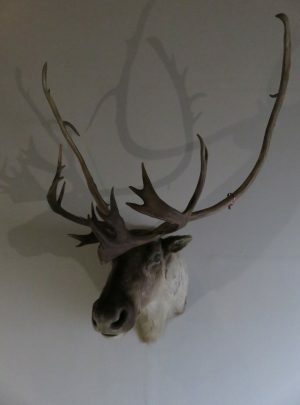 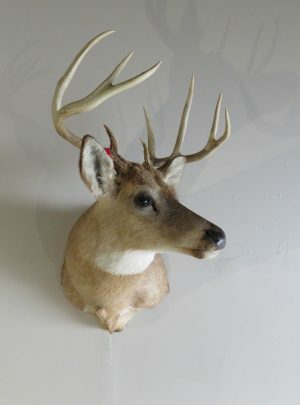 He will make a great addition to someone’s collection of North American big game mounts or as a stand alone piece in someone’s home or office.